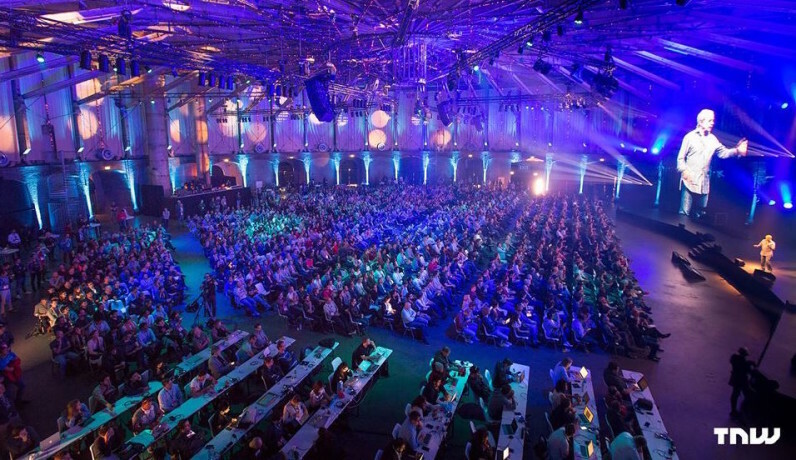 TNW Europe 2016 was not only a festival-like conference full of great talks, epic parties and irresistible catering – it was also the opportunity for 200 of the hottest international startups to present 9,400 tech influencers, investors and journalists the next game-changers. Every year, we hold hundreds of interviews with young startups in order to shortlist the cream of the crop and invite them to Boost and Bootstrap, our early-stage growth programs at TNW Conference. Which of our Boost startups stood out to you the most? Which company will you be looking up on Monday, once your hangover has subsided? INEXSO is the company behind ExchangeBox – the Intelligent Exchange Solution placed at strategic locations. 87 seconds are a fresh and creative team, ready to map out your video strategy. Presciense enables utility companies and service providers to offer a range of Smart Home services to their customers – through one, integrated platform. In industry a lot of heat is wasted into the air, nearby river or the sea. Qpinch offers its innovative technology to industrial customers. ButlerBuddy is an online network where people can hire each other for domestic services. Lendstar is your social finance app for paying and chatting among friends. Easy, fast, free & more secure than online banking. Community Networkz build Social Networks for companies, sports and artists. Build traffic and followers on your own domain. Start with bringing your Social Media to your website, and from there start interaction like a Social Network with your crowd. Make your insights more actionable by transforming them into beautiful and compelling data stories with Datylon. Share them online and start the conversation. EventPulse offers an integration platform for organizers to optimize their events. Our platform integrates with self created services or third-party solutions that run during the event and centralize all visitors data. Forganiser‘s mission is to facilitate access to flexible labour in restaurants by making competences visible to employers and by automating the whole process, from hiring new staff members to paying their salaries. Crowd Angels offers Omnisourcing for Believers. They combine integrated crowdfunding and crowdsourcing in a Platform as a Service model (PAAS). Appiness – Time-stamped products and brands in local & international video made shoppable via any smart device. Slidebaker: Configurable images made easy. Visualise any consumer product for your shopping system. Intele offers Moment Marketing solutions that connect traditional TV with the Internet. Lapa Studio is a Software & Hardware Startup based in Portugal that is transforming the way people search for and protect all the things they can’t live without. Metafused is an on-demand marketing platform to action what existing technologies cannot. SpeakerHub is the best resource for finding public speakers, trainers and moderators for your corporate event, conference or school. Teamleader helps you and your team to work smarter so your small business thrives. Cubicasa – a powered computer vision solution to bring all indoor spaces to the cloud. Want to really leverage the wisdom of the crowd? Datafront is a state of the art native and HTML 5 app for secure voting, surveys, polling and discussion. Mymanu are the smartest truly wireless earphones with voice translator and portable audio speakers. Founded by a British record producer and an aerospace engineer. ➤ Click here to sign up for your 2-for-1 ticket deal for TNW Europe 2017.